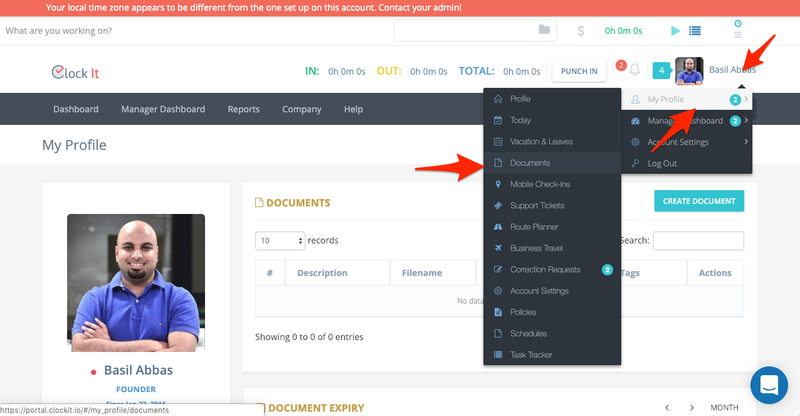 You can access the documents view from My Profile > Documents or from the left menu. 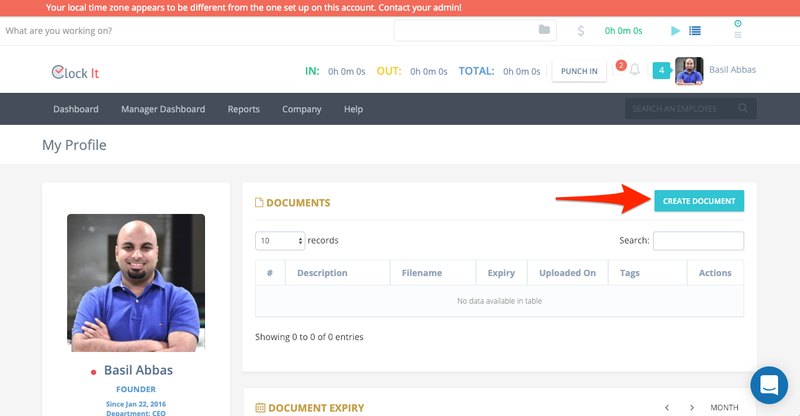 To create a new file upload, click on create document. 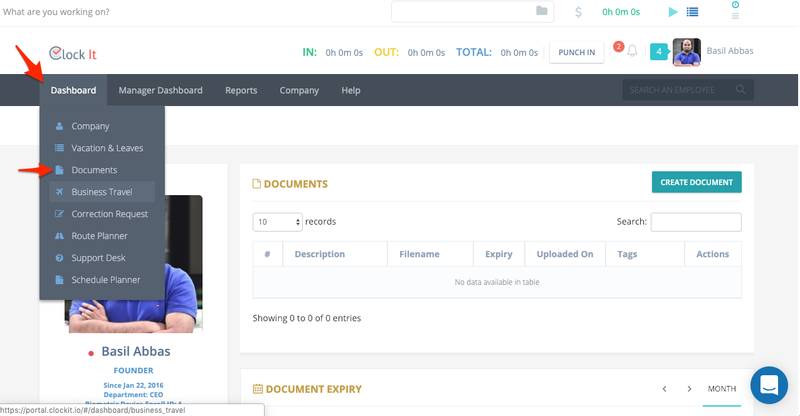 Fill in the details in the form and attach your file by clicking on the upload button. 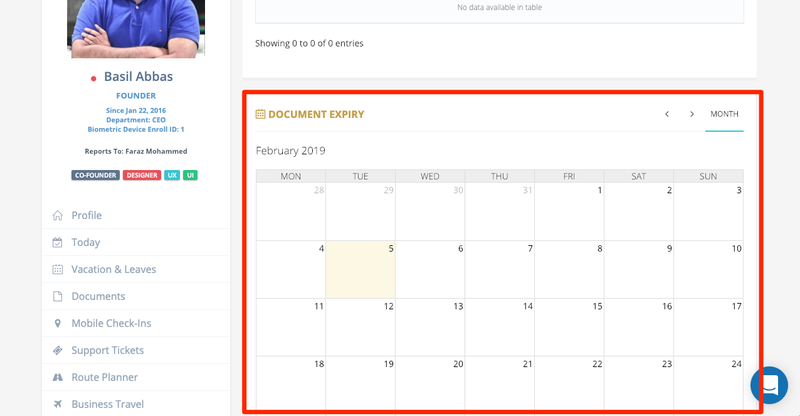 By settings your expiry date, ClockIt will show you the file expiry date on the calendar. 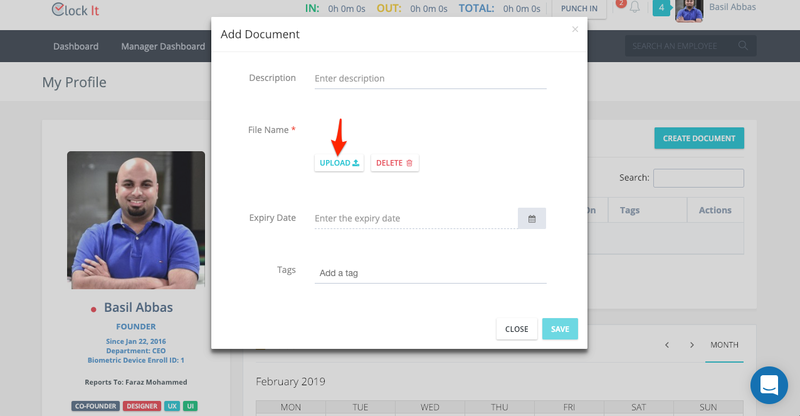 Add tags so that you can easily search for the file later. Tags are comma separated. 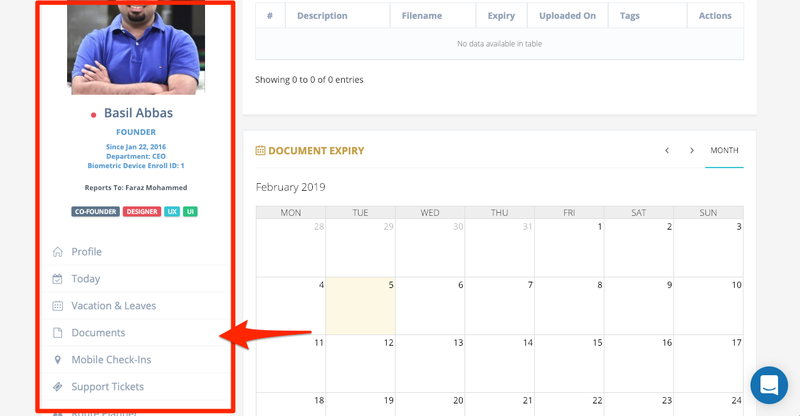 All the files that have dates will show in the profile calendar on the documents feature.